Perhaps the best way to create the perfect atmosphere for exploring the Anglo-Saxon era is to stay at some of the finest traditional country hotels that pepper the English provinces. That is exactly why the lodging for this sojourn includes the stunning properties described below. Your stays at these atmospheric, boutique hotels are certain to become some of the fondest memories of your tour. 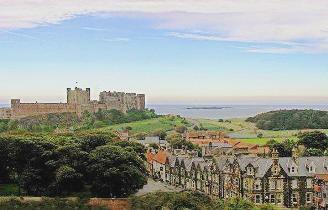 Set on the delightful village green in the shadows of the magnificent Bamburgh Castle, the Victoria Hotel offers stunning accommodation in the picturesque Northumberland village of Bamburgh. 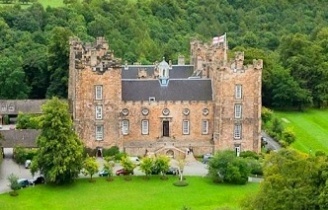 Each of its comfortable guest rooms is furnished to exactly standards and many offer views of the castle or the shimmering North Sea. The friendly hotel features a brasserie restaurant and atmospheric bar with an abundance of attractive indoor and outdoor seating options. Built in 1389 by Ralph Lumley after returning from wars in Scotland, the magnificent Lumley Castle dominates the County Durham landscape. Overlooking the River Wear and set amid beautifully-manicured grounds, the 14th-century edifice is a magnificent monument to a bygone age of chivalry and honor. The atmosphere inside is simply amazing—whether you are relaxing in the opulently-furnished guest rooms, dining on award-winning cuisine in the Black Knight Restaurant, or enjoying a drink in wood-paneled Library Bar. Dating to 1898, the Orwell Hotel is a traditional, boutique hotel, which has been refurbished to exacting standards while retaining much of its original Victorian character. Today, the spacious public areas are wood-paneled and traditionally decorated with a wealth of charm and elegance. 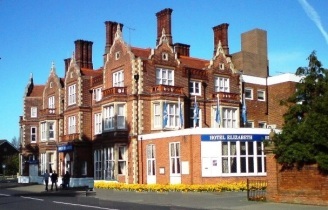 The impressive Victorian property sits at the center of the lovely, Edwardian seaside town of Felixstowe.